Had Chevrolet continued making the Lumina APV/Venture/Uplander/whatever, it'd probably look like this. 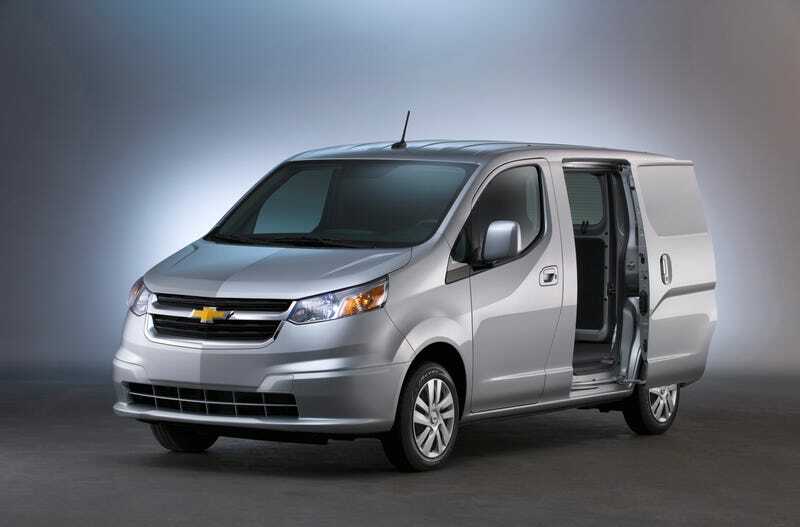 Instead, GM is now rebadging Nissan NV200s and integrating them into Chevy's fleets as the City Express this fall. The NV200 is often used as a taxi and the same will probably go for the City Express. Since the van is fleet-only for GM, it'll be on hand to serve the needs of caterers, plumbers, cable installers and airport coaches everywhere. The City Express joins the Ford Transit Connect and the Ram ProMaster City in the suddenly crowded van market. And Mercedes has openly pondered the idea of bringing a smaller Sprinter van to North America. Everything in the NV200 — 2.0L inline-four mated to a CVT, front-wheel-drive — carries over to the City Express. Will it NISMO? Or, in this case, will it SS? Probably not.